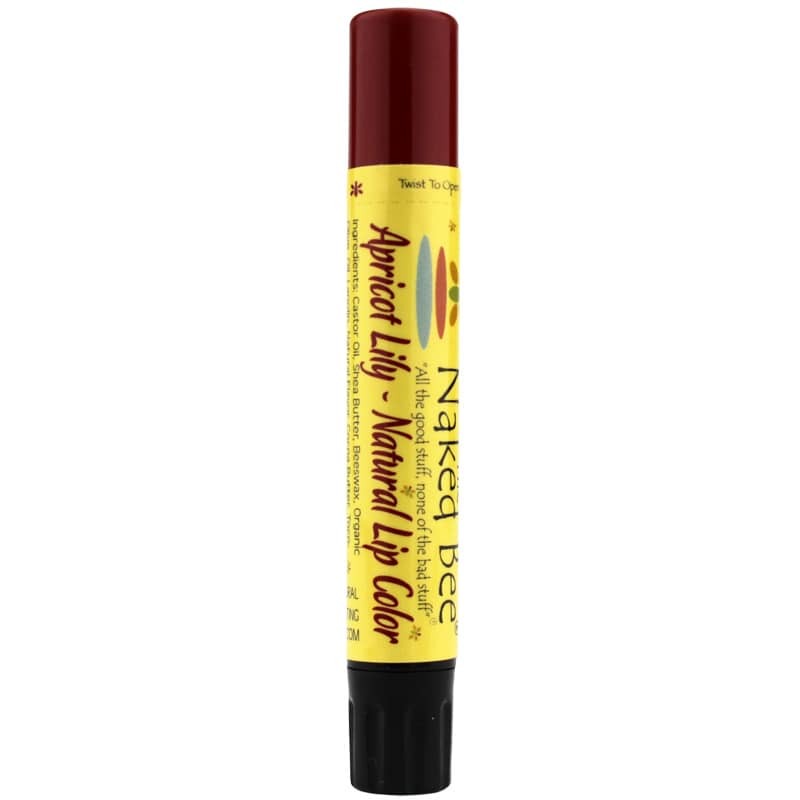 Give your lips some all-natural color and shine while treating them with a little tender love and care. Naked Bee's 100% natural lip balm is made from beneficial ingredients like organic olive oil, shea butter and Vitamin E. It includes natural flavor from Orange Blossom Honey instead of harsher menthol flavors. Many of the typical lip balms may include ingredients that can actually cause your lips to get dehydrated. Then you start using it more frequently. That's why some say they are "addicted" to chapstick. Moisturize and beautify your lips with Naked Bee's lip balms to make them look and feel soft and kissable. Order Apricot Lily Natural Lip color today! May contain: mica, titanium dioxide, carmine, iron oxides, tin oxide. 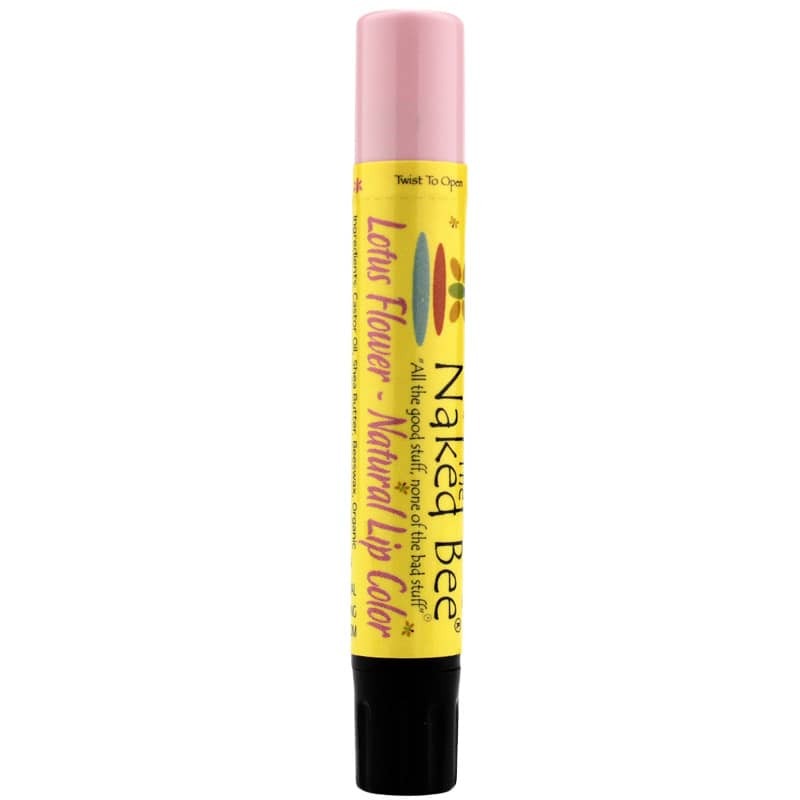 I love Lotus Flower Natural Lip Color as it is more like a classic chap stick. Stays on and gives a little natural finish to my lips without looking "lip sticky"! Having tried MANY "natural" glosses, experience showed most of them dry out my lips, based on one time use or regular use. The color saturation varies considerably, but the most saturated seem to have the most chemicals in their formula also. Naked Bee feels good from start to finish! The colour is a stain, not like lipstick. This wasokay: I needed a little color and lots of moisture protection. This does it! I can't get enough of the Naked Bee lip colors!<br>Sheer and not "lipsticky", they are perfect for adding a hint of color which is Oh-so-natural.<br>The Ginger Berry is a berry purple which works great with medium skin tones (My skin is medium). Naked Bee has done it again! I am hooked on these wonderful lip sticks. The Apricot Lilly is a beautiful sheer orangy-pink. I love how it applies natural looking color. Just like the flesh on a Black Friar plum, Naked Bee's Plum Orchid lip color is deep purple with a glowy hint of rose. In spite of the bold color, it still goes on sheer enough to allow your natural lip color to show through. This is great, as it will adjust to any skin tone. Wonderful price. Wonderful product. Heather Rose lip color provides a sheer tint of dusky, mauv pink. Naked Bee is my favorite lip color brand. I was hesitant to order this lip color as I wasn't sure if it would be too dark or too sheer. It is perfect. While it is a sheer color, it adds a natural rosey color to my lips with just the right amount of sparkle. I will be ordering another one for sure. I received a Naked Bee lip color as a gift from a girlfriend the other year, and then could never find it to buy more until now! I love so many things about these: the great colors, moisturizing formula, they last longer than most similar formulas, and the thin, very portable packaging. Keep in mind that they contain a little peppermint, which can cause a burning sensation on sensitive skin. You'll want all the colors! Great lip balm with a light tint that doesn't dry my lips out. I can't find the Naked Bee Heather Rose lip balm anywhere in my rural area, so I had been using in sparingly. Now with auto-ship, I'll have a new one every 45 days and can use as much as I want. What a brilliant idea your company has! I like this naked bee heather rose lip color a lot. It's the only one I use now.